The Beeching cuts (also Beeching Axe) were a reduction of route network and restructuring of the railways in Great Britain, according to a plan outlined in two reports, The Reshaping of British Railways (1963) and The Development of the Major Railway Trunk Routes (1965), written by Dr Richard Beeching and published by the British Railways Board. The first report identified 2,363 stations and 5,000 miles (8,000 km) of railway line for closure, 55% of stations and 30% of route miles, with an objective of stemming the large losses being incurred during a period of increasing competition from road transport and reducing the rail subsidies necessary to keep the network running; the second identified a small number of major routes for significant investment. The 1963 report also recommended some less well-publicised changes, including a switch to containerisation for rail freight. Protests resulted in the saving of some stations and lines, but the majority were closed as planned, and Beeching's name remains associated with the mass closure of railways and the loss of many local services in the period that followed. 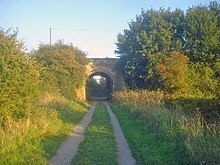 A few of these routes have since reopened, some short sections have been preserved as heritage railways, while others have been incorporated into the National Cycle Network or used for road schemes; others now are lost to construction, have reverted to farmland, or remain derelict. After growing rapidly in the 19th century during the Railway Mania, the British railway system reached its height in the years immediately before the First World War, with a network of 23,440 miles (37,720 km). After the First World War the railways faced increasing competition from a growing road transport network, which led to the closure of some 1,300 miles (2,100 km) of passenger railway between 1923 and 1939. These closures included the Charnwood Forest Railway, previously closed to passengers in 1931; the Harborne Line in Birmingham, closed to passengers in 1934. Some of these lines had never been profitable and were not subject to loss of traffic[clarification needed] in that period. The railways were busy during World War II, but at the end of the war they were in a poor state of repair and were soon nationalised as British Railways. The Branch Lines Committee of the British Transport Commission (BTC) was formed in 1949 with a brief to close the least-used branch lines; 3,318 miles (5,340 km) of railway were closed between 1948 and 1962. The most significant of these was the Midland and Great Northern Joint Railway, closed in 1959. This period saw the beginning of a closures protest movement led by the Railway Development Association, whose most famous member was the poet John Betjeman. They went on to be a significant force resisting the Beeching proposals. Economic recovery and the end of petrol rationing led to rapid growth in car ownership and use. Vehicle mileage grew at a sustained annual rate of 10% between 1948 and 1964. In contrast, railway traffic remained steady during the 1950s but the economics steadily deteriorated, with labour costs rising faster than income and fares and freight charges repeatedly frozen by the government to try to control inflation. By 1955 income no longer covered operating costs, and things got steadily worse. The 1955 Modernisation Plan promised expenditure of over £1,240 million; steam locomotives would be replaced with diesel and electric locomotives, traffic levels would increase, and the system was predicted to be back in profit by 1962. Instead losses mounted, from £68 million in 1960 to £87 million in 1961, and £104 million in 1962 (£2.18 billion in 2018 terms). The BTC could no longer pay the interest on its loans. The government lost patience and looked for radical solutions. The report The Reshaping of British Railways (or Beeching I report) was published on 27 March 1963. On 16 February 1965, Beeching announced the second stage of his reorganisation of the railways. In his report, The Development of the Major Railway Trunk Routes, he set out his conclusion that of the 7,500 miles (12,100 km) of trunk railway only 3,000 miles (4,800 km) "should be selected for future development" and invested in. This policy would result in traffic being routed along nine lines. Traffic to Coventry, Birmingham, Manchester, Liverpool and Scotland would be routed through the West Coast Main Line to Carlisle and Glasgow; traffic to the north-east would be concentrated through the East Coast Main Line, which was to be closed north of Newcastle; and traffic to Wales and the West Country would go on the Great Western Main Line to Swansea and Plymouth. Underpinning Beeching's proposals was his belief that there was too much duplication in the railway network: "The real choice is between an excessive and increasingly un-economic system, with a corresponding tendency for the railways as a whole to fall into disrepute and decay, or the selective development and intensive utilisation of a more limited trunk route system". [note 12] Of the 7,500 miles (12,100 km) of trunk route, 3,700 miles (6,000 km) involves a choice between two routes, 700 miles (1,100 km) a choice of three, and over a further 700 miles (1,100 km) a choice of four. In Scotland only the Central Belt routes and the lines via Fife and Perth to Aberdeen were selected for development, and none were selected in Wales, apart from the Great Western Main Line as far as Swansea. Beeching's secondment from ICI ended early in June 1965 after Harold Wilson's attempt to get him to produce a transport plan failed. It is a matter of debate whether Beeching left by mutual arrangement with the government or if he was sacked. Frank Cousins, the Labour Minister of Technology, told the House of Commons in November 1965 that Beeching had been dismissed by Tom Fraser. Beeching denied this, pointing out that he had returned early to ICI as he would not have had enough time to undertake an in-depth transport study before the formal end of his secondment. The first report was accepted by the Government, but many of the closures it recommended sparked protests from communities that would lose their trains, many of which (especially rural communities) had no other public transport. The government argued that many services could be provided more cheaply by buses. Line closures, which had been running at about 150–300 miles per year between 1950 and 1961, peaked at 1,000 miles (1,600 km) in 1964 and had come to a virtual halt by the early 1970s. One of the last major closures was the 98-mile long (158 km) Waverley Route between Carlisle, Hawick and Edinburgh in 1969; the reopening of a 35-mile section of this line was approved in 2006 and passenger services resumed in September 2015. Lines through the Scottish Highlands, such as the Far North Line, were kept open, in part because of pressure from the powerful Highland lobby. The Central Wales Line was said to have been kept open because it passed through so many marginal constituencies that no one dared to close it. The Tamar Valley Line in Devon and Cornwall was kept open because the local roads were poor. The Marshlink line between Ashford and Hastings remained open because of problems retaining replacement bus services. Other routes (or parts of routes) planned for closure that survived include the Settle-Carlisle Line, Ipswich–Lowestoft, the Hope Valley Line (but the Woodhead Line and Bakewell route closed), Buxton Line, Ayr–Stranraer, Glasgow–Kilmarnock, Glasgow–Edinburgh via Shotts, Barrow–Whitehaven, Middlesbrough–Whitby, York–Harrogate, Leeds/Bradford–Ilkley, Nottingham–Lincoln, Boston–Skegness, Birkenhead–Wrexham, Liverpool–Southport (and other Merseyside commuter routes), Bury-Manchester, Leicester–Peterborough and Ryde–Shanklin. The Beeching Report was intended to be the first stage in the rail network's contraction. As a result, some lines it had not recommended for closure were subsequently shut down, such as the Woodhead Line between Manchester and Sheffield in 1981, after the freight traffic (mostly coal) on which it had relied declined. Most of the Oxford–Cambridge "Varsity Line" closed despite its strategic location serving Milton Keynes, Britain's largest "new town". Kinross-shire and Fife especially suffered closures not included in the Report, including the main line from Edinburgh to Perth. King's Lynn was to have remained at the centre of routes towards Norwich, Hunstanton and Wisbech, all of which closed. With a few exceptions, after the early 1970s proposals to close other lines were met with vociferous public opposition and were quietly shelved. This opposition likely stemmed from the public experience of the many line closures during the cuts in the mid and late 1960s. Both Wednesbury Town railway station and the South Staffordshire Railway were closed, and were still in ruins in 2003. Beeching's reports made no recommendations about the handling of land after closures. British Rail operated a policy of disposing of land that was surplus to requirements. Many bridges, cuttings and embankments have been removed and the land sold for development. Closed station buildings on remaining lines have often been demolished or sold for housing or other purposes. 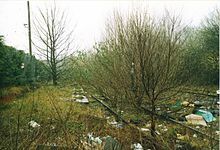 Increasing pressure on land use meant that protection of closed trackbeds, as in other countries (such as the US Rail Bank scheme, which holds former railway land for possible future use) was not seen to be practical. Many redundant structures from closed lines remain, such as bridges over other lines and drainage culverts. They often require maintenance as part of the rail infrastructure while providing no benefit. Critics of Beeching argue that the lack of recommendations on the handling of closed railway property demonstrates that the report was short-sighted. On the other hand, retaining a railway on these routes, which would obviously have increased maintenance costs, might not have earned enough to justify that greater cost. As demand for rail has grown since the 1990s, the failure to preserve the routes of closed lines (such as the one between Bedford and Cambridge, which was closed despite Beeching recommending its retention) has been criticised. By 1968 the railways had not been restored to profitability and Beeching's approach appeared to many to have failed. It has been suggested that by closing almost a third of the network Beeching achieved a saving of just £30 million, whilst overall losses were running in excess of £100 million per year. However, the precise savings from closures are impossible to calculate. The Ministry of Transport subsequently estimated that rail operating costs had been cut by over £100 million in the wake of the Beeching Report but that much of this had been swallowed up by increased wages. Some of the branches closed acted as feeders to the main lines, and that feeder traffic was lost when the branches closed; the financial significance of this is debatable as over 90% of the railways' 1960 traffic was carried on lines which remained open ten years later. Whatever the figures, towards the end of the 1960s it became increasingly clear that rail closures were not bringing the rail system out of deficit and were unlikely ever to do so. Transport minister Barbara Castle decided that some rail services, which could not pay their way but had a valuable social role, should be subsidised. Legislation allowing this was introduced in the Transport Act 1968 (section 39 made provision for a subsidy to be paid by the Treasury for a three-year period) but this was later repealed in the Railways Act 1974. Whether these subsidies affected the size of the network is questionable: the criteria for reprieving loss-making lines had not altered, merely the way their costs appeared in the railways accounts—previously their contribution to the railways' overall loss was hidden in the total deficit. The "bustitution" policy that replaced rail services with buses also failed. In many cases the replacement bus services were slower and less convenient than the trains they were meant to replace, and so were unpopular. Replacement bus services were often run between the (now disused) station sites (some of which were some distance from the population centres they served), thus losing any potential advantage over the closed rail service. Most replacement bus services lasted less than two years before they were removed due to a lack of patronage, leaving large parts of the country with no public transport. The assumption at the time was that car owners would drive to the nearest railhead (which was usually the junction where the closed branch line would otherwise have taken them) and continue their journey onwards by train. In practice, having left home in their cars, people used them for the whole journey. Similarly for freight: without branch lines, the railways' ability to transport goods "door to door" was dramatically reduced. As in the passenger model, it was assumed that lorries would pick up goods and transport them to the nearest railhead, where they would be taken across the country by train, unloaded onto another lorry and taken to their destination. The development of the motorway network, the advent of containerisation, improvements in lorries and the economic costs of having two break-bulk points combined to make long-distance road transport a more viable alternative. Many of the closed lines had run at only a small deficit. Some lines such as the Sunderland to West Hartlepool line cost only £291 per mile to operate. Closures of such small-scale loss-making lines made little difference to the overall deficit. Possible changes to light railway type operations were attacked by Beeching, who wrote: "The third suggestion, that rail buses should be substituted for trains, ignores the high cost of providing the route itself, and also ignores the fact that rail buses are more expensive vehicles than road buses." There is little in the Beeching report recommending general economies (in administration costs, working practices and so on). For example, a number of the stations that were closed were fully staffed 18 hours a day, on lines controlled by multiple Victorian era signalboxes (again fully staffed, often throughout the day). Operating costs could have been reduced by reducing staff and removing redundant services on these lines while keeping the stations open. 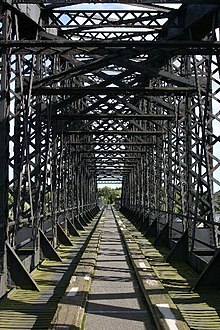 This has since been successfully achieved by British Rail and its successors on lesser-used lines that survived the cuts, such as the East Suffolk Line from Ipswich to Lowestoft, which survives as a "basic railway". The Marshlink Line between Ashford and Hastings, threatened with closure in the Beeching Report, is now seen as important due to the opening of the Channel Tunnel and High Speed 1. Traffic on the single-track Golden Valley Line between Kemble and Swindon and the Cotswold Line between Oxford and Worcester has increased significantly, and double track has now been reinstated on the Golden Valley Line. The Conservatives increased their Commons majority in the general election of 8 October 1959, their first with Harold Macmillan as prime minister, who famously said that most people "had never had it so good". Ernest Marples, previously the Postmaster General, was made Transport Minister two weeks later in a cabinet reshuffle; Marples was described by some as "cocky", "flash", "slick" and as a "construction tycoon", and Macmillan noted that the Northern working-class boy who had won a scholarship to a grammar school was one of only two "self-made men" in his cabinet. Marples then appointed Beeching as Chairman of the British Transport Commission in March 1961. He would receive the same yearly salary that he was earning at ICI, the controversial sum of £24,000 (£525,000 in 2018 terms), £10,000 more than Sir Brian Robertson, the previous chairman of the BTC, £14,000 more than Prime Minister Harold Macmillan and two-and-a-half times higher than the salary of any head of a nationalised industry at the time. At that time the government was seeking outside talent and fresh blood to sort out the huge problems of the railway network, and he was confident that he could make the railways pay for themselves, but his salary, at 35 times that of many railway workers, has been described as a "political disaster". The Transport Act 1962 dissolved the British Transport Commission (BTC), which had overseen the railways, canals and road freight transport and established the British Railways Board, which took over on 1 January 1963, with Dr Beeching as its first chairman. The Act put in place measures that simplified the process of closing railways by removing the need for the pros and cons of each case to be heard in detail. It was described as the "most momentous piece of legislation in the field of railway law to have been enacted since the Railway and Canal Traffic Act 1854". The Beeching report was published in March 1963 and was adopted by the government; it resulted in the closure of a third of the rail network and the scrapping of a third of a million freight wagons. The General election in October 1964 returned the Labour Government 1964–1970 under Prime Minister Harold Wilson after 13 years of Conservative government. During the election campaign Labour had promised to halt rail closures if elected, but they quickly backtracked, and later oversaw some of the most controversial closures. Tom Fraser was appointed Transport Minister, but was replaced by Barbara Castle in December 1965. Castle published a map, Network for Development, in 1967 showing the railway system "stabilised" at around 11,000 route miles (17,700 km). 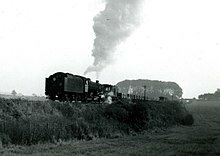 Section 39 of the Transport Act 1968 made provision for grants to be paid in relation to loss-making lines and services, but many of the services and railway lines that would have qualified had already been closed. A number of branch lines and local services were saved by this legislation. After 1970, when the Conservatives were returned to power, serious thought was given to a further programme of closures, but this proved politically impossible. In 1983, under the government of Margaret Thatcher, Sir David Serpell, a civil servant who had worked with Beeching, compiled the Serpell Report which said that a profitable railway could be achieved only by closing much of what remained. The infamous "Option A" in this report was illustrated by a map of a vestigial system with, for example, no railways west of Bristol or Cardiff and none in Scotland apart from the central belt. Serpell was shown to have some serious weaknesses, such as the closure of the Midland Main Line (a busy route for coal to power stations), and the East Coast Main Line between Berwick-upon-Tweed and Edinburgh, part of the key London/Edinburgh link. The report met fierce resistance from many quarters and was quickly abandoned. Ian Hislop comments that history has been somewhat unkind to "Britain's most hated civil servant", by forgetting that he proposed a much better bus service that ministers never delivered, and that in some ways he was used to do their "dirty work for them". Hislop describes Beeching as "a technocrat [who] wasn't open to argument to romantic notions of rural England or the warp and weft of the train in our national identity. He didn't buy any of that. He went for a straightforward profit and loss approach and some claim we are still reeling from that today". Beeching was unrepentant about his role in the closures: "I suppose I'll always be looked upon as the axe man, but it was surgery, not mad chopping". Since the Beeching cuts, road traffic levels have grown significantly and since privatisation in the mid-1990s there have been record levels of passengers on the railways (although the impact of this is disputed). A few of the railway closures have been reversed. However, despite the considerable increase in railway journeys since the mid-1990s, rail transport's share of the total transport market remains below that of the early 1960s, with road overwhelmingly the dominant mode: rail's market share was 13% in 1961, 6% in 1991 and 2001 and 10% in 2014. A few closed stations have reopened, and passenger services been restored on a few lines where they had been removed. The BBC TV comedy series Oh, Doctor Beeching!, which ran in 1995–1997, was set in a small fictional branch line railway station threatened with closure under the Beeching cuts. Flanders and Swann, writers and performers of satirical songs, wrote a lament for lines closed by the Beeching cuts entitled "Slow Train". Michael Williams' book On the slow train takes its name from the Flanders and Swann song. It celebrates 12 of the most beautiful and historic journeys in Britain, some of which were saved from the Beeching cuts. It perpetuated the myth that the Beeching cuts were concerned solely with sleepy rural branch lines, but they actually also concerned well-used "industrial" and commuter lines. In the satirical magazine Private Eye, the "Signal Failures" column on railway issues is written under the pseudonym "Dr. B. Ching". The lyrics of the I Like Trains song "The Beeching Report" are a criticism of Dr Beeching and the Beeching cuts. 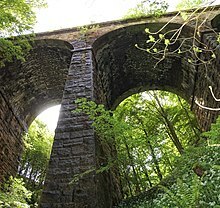 An abandoned stone bridge spans the route of the Otley and Ilkley Joint Railway through Otley, which was closed in 1965. After this period "residual" Beeching closures did occur: Bridport to Maiden Newton[note 15] (in 1975), Alston to Haltwhistle[note 16] (in 1976), Woodside to Selsdon[note 17] (in 1983). ^ RB(1963a), page 2. "It is, of course the responsibility of the British Railways Board so to shape and operate the railways as to make them pay." ^ RB(1963a), page 3. "Ever since major amalgamations started, the business of railways has been, from a financial point of view, a mixture of good, bad, and indifferent." ^ RB(1963a), page 96-99 Appendix 2. ^ RB(1963a), page 141-148. "Appendix 4 The Liner Train"
^ Ecologics(2010) "A more critical interpretation is that after Macmillan named Marples as Minister of Transport, Britain’s transport policy swerved to the right, and became motivated by the kind of conflict of interest that Thompson notes can be loosely regarded as a form of corruption (9). Actually, in this case it may well have been a rather tight form of corruption. At the time that he was named minister, Marples owned 64,000 of the 80,000 shares of Marples Ridgeway, a civil engineering firm that specialised in building roads"
^ Ecologics(2010) "First, Marples decided to 'disappear' the Stedeford report—or at any rate, any recommendations he put forward (there appears to be some debate as to whether an actual report was produced). As noted by Henshaw, 'The findings of the Stedeford Committee remained such a well kept secret that even Barbara Castle was unable to see them on becoming Minister of Transport in 1966' (22). In fact, we now know that Stedeford actually proposed that the government should set up another body whose task it would be '... to consider the size and pattern of the railway system required to meet current and foreseeable needs, in the light of developments and trends in other forms of transport ... and other relevant considerations'"
RB(1963a): Beeching, Richard (1963a). "The Reshaping of British Railways" (PDF). HMSO. RB(1963b): Beeching, Richard. "The Reshaping of British Railways (maps)" (PDF). HMSO. Beeching, Richard (1965). "The Development Of The Major Railway Trunk Routes" (PDF). HMSO. Ecologics (2010) "Financial Scandal, Corruption and Censorship: Part 3". Archived from the original on 16 September 2013. Allen, G. Freeman (1966). British Railways after Beeching. Shepperton: Ian Allan. Gourvish, T. R. (1986). British Rail 1948 – 1973: A Business History. Cambridge. Henshaw, David (1994). The Great Railway Conspiracy. ISBN 0-948135-48-4. White, H. P. (1986). Forgotten Railways. ISBN 0-946537-13-5. ^ a b c d e f g Henshaw, David (1994). The Great Railway Conspiracy. ISBN 0-948135-48-4. ^ "TRA0101 (also TSGB0701) Road traffic (vehicle miles) by vehicle type in Great Britain, annual from 1949". Department for Transport. ^ a b "The Great Vanishing Railway". timmonet.co.uk. ^ a b c "BRITISH TRANSPORT COMMISSION (CHAIRMAN)". Hansard. ^ Garry Keenor. "The Reshaping of British Railways – Part 1: Report". The Railways Archive. Retrieved 25 July 2010. ^ The Times, "The Second Stage of Dr. Beeching's Reorganisation Proposals", 17 February 1965, p. 8. ^ The Times, "Mr. Cousins says 'We Sacked Beeching'", 17 November 1965, p. 12. ^ The Times, "Lord Beeching: 'I Was Not Sacked'", 18 November 1965, p. 12. ^ "All stations on the Stour Line are Doomed – Councils to lead massive protest". ^ "Borders to Edinburgh railway: Track laying gets under way". BBC News. BBC. 9 October 2014. Retrieved 12 October 2014. ^ "Rye-Ashford Area (Public Transport)". Hansard. 26 November 1970. Retrieved 25 August 2016. ^ "Route Selection - East West Rail". Archived from the original on 28 July 2013. Retrieved 17 March 2013. ^ a b Garry Keenor. "Railway Finances – Report of a Committee chaired by Sir David Serpell KCB CMG OBE". The Railways Archive. Retrieved 25 July 2010. ^ "High speed service to run between Ashford and Hastings from London after Transport Secretary Patrick McLoughlin attends rail summit". Kent Business. 2 April 2014. Retrieved 8 March 2015. ^ Driving Spaces: A Cultural-Historical Geography of England's M1 Motorway. 2011. p. 153. ISBN 9781444355475. ^ "MINISTERS OF THE CROWN (PRIVATE INTERESTS)". Hansard. 28 January 1960. Is he aware that there has been a Press report, which I am unable to confirm or deny, that the Minister of Transport was in fact the senior partner of a firm of contractors which has obtained a contract worth £250,000 and that we understand, according to this Press report, that the right hon. Gentleman is now trying to dispose of the shares he has. In a case of this kind, does not the right hon. Gentleman think it most improper, at any rate, that any Minister of the Crown should be associated with any company with which such a contract is placed? ^ "PERSONAL STATEMENT". Hansard. 28 January 1960. When I became Minister of Transport, last October, I realised that there was a risk of a conflict of interest appearing 381 to arise in consequence of my holding a controlling interest in the company. I immediately took steps to effect a sale of my shares. It has taken some time to arrange this as the company is a private one engaged in long-term contracts in civil engineering, but I hope that it will be completed very soon. Then I shall have no financial interest in the company. But I think that I should tell the House that the prospective purchasers have required me to undertake to buy the shares back from them at the price they are to pay if they ask me to do so after I have ceased to hold office. I myself have no option to buy the shares back. I have not, of course, had anything whatsoever to do with any tenders put in by the company while I have been a member of the Government. ^ "M1". Hansard. 21 April 1967. ^ "Reginald Ridgway". The Telegraph. 29 March 2002. ^ "Marples, Ridgway & Partners Limited". 11 November 1964. Mr. A. Lewis asked the Minister of Transport whether he will publish in HANSARD a table of figures giving the contracts obtained by Marples, Ridgway & Partners Limited during the past 13 years, and the amounts of such contracts in each case. ^ a b "BRITISH TRANSPORT COMMISSION (ADVISORY GROUP)". Hansard. 6 April 1960. In accordance with the statement which my right hon. Friend the Prime Minister made on 10th March, I have now appointed the body which will advise me and the British Transport Commission. It will be composed as follows: Chairman: Sir Ivan Stedeford, K.B.E., Chairman and Managing Director, Tube Investments Ltd. Members: Mr. C. F. Kearton, O.B.E., Joint Managing Director, Courtaulds, Dr. R. Beeching, A.R.C.S., B.Sc, Ph.D., Technical Director of I.C.I., Mr. H. A. Benson, C.B.E., F.C.A., partner in Cooper Bros., chartered accountants. The Treasury and the Ministry of Transport will also be represented. The task of the advisory body will be to examine the structure, finance and working of the organisations at present controlled by the Commission and to advise the Minister of Transport and the British Transport Commission, as a matter of urgency, how effect can best be given to the Government's intentions as indicated in the Prime Minister's statement. ^ Hardy, R.H.N. (1989). Beeching: Champion of the Railway?. London: Ian Allan Ltd. pp. 44–48. ISBN 978-0-7110-1855-6. ^ Dudley, Geoff (2000). Why Does Policy Change: Lessons from British Transport Policy 1945–95. London: Routledge. pp. 48–9. ISBN 0-415-16918-6. ^ "Railways". Hansard. 29 April 1963. ^ Celmins, Martin (30 July 1995). "REAR WINDOW: FAT CATS The man who was paid pounds 24,000 a year". The Independent. IS THIS man—or any man—worth pounds 450 a week?" the Daily Sketch demanded to know. The Daily Express asked: "Is THIS the way to run a country?". The Daily Mail reassuringly observed "Dr Beeching rides the storm", while the Mirror calmly stuck to the facts. These were that Dr Richard Beeching, technical director of ICI, had been appointed head of the British Railways Board at a salary of £24,000 per annum ... Whatever the logic, politically it was a disaster. ^ Kahn-Freund, Otto (March 1963). "Transport Act, 1962". Modern Law Review. 26 (2): 174. doi:10.1111/j.1468-2230.1963.tb00706.x. JSTOR 1093306. ^ "Britain's most hated civil servant". BBC news. 1 October 2008. ^ Davies, Hunter (1982). A walk along the tracks. Weidenfeld and Nicolson. p. 11. ISBN 978-0-297-78042-7. ^ "Michael Williams: So much pain in our love of the train". The Independent. 3 April 2010. Retrieved 14 February 2011. Wikimedia Commons has media related to Beeching rail closures. Commons debate on the Beeching Report 29 April 1963, discussing the problematic financial implications of Beeching to councils on the provision of more roads and to industry.